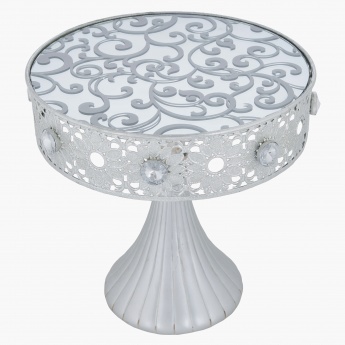 Lend a charming look and impress your guests with this tall cake stand. 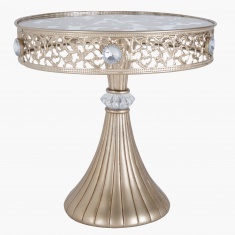 Its trendy design and textured finish give it a stunning look and the antique touch makes it more attractive. 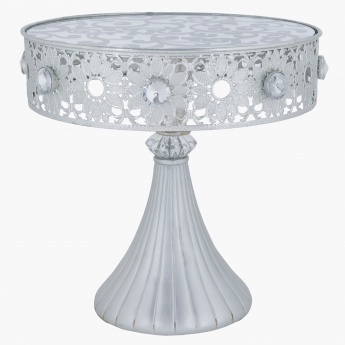 Made from glass and metal, it is studded and sports a classic styling.